You shouldn’t have to work hard to enjoy a delicious meal. These OPOS recipes will reduce the work in the kitchen so that you can spend more time relaxing. 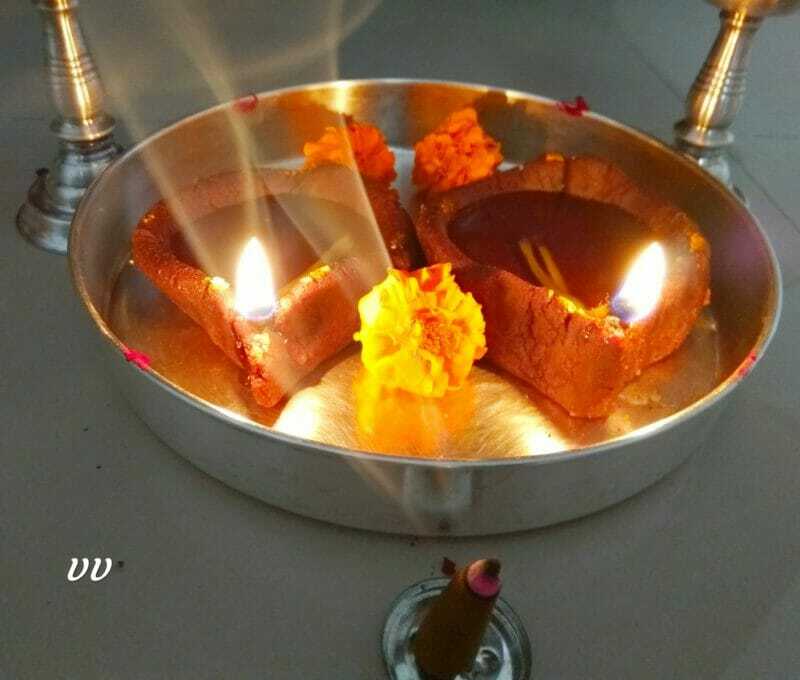 Maa Vilakku or Pindi Deepam is a lamp made of rice flour and jaggery dough into which cow’s ghee is poured and wick made of cotton is lit in it.The tradition of lighting such lamp came from ancient times. The Lamps are lit during the Tamil months of Aadi and Thai for Ambal, in Purattasi for Lord Venkateswara Perumal and during Karthigai Deepam for Lord Murugan. 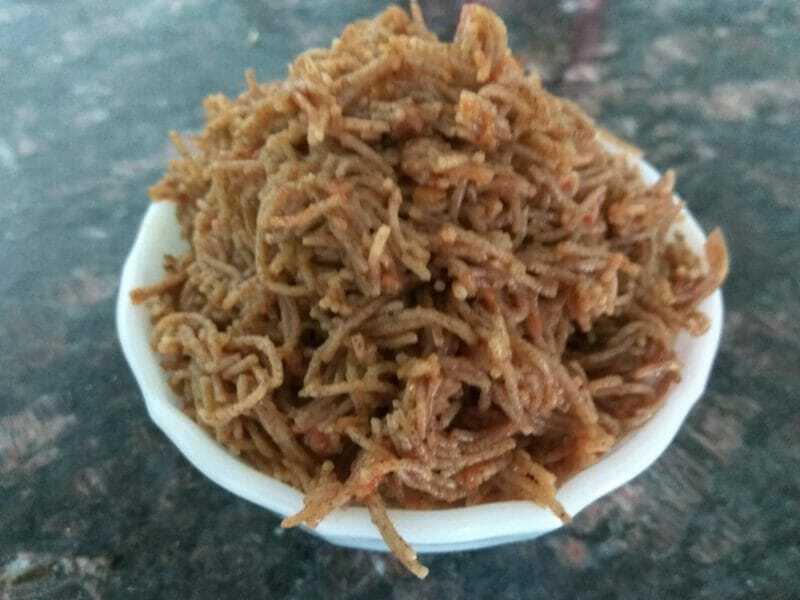 I used processed Samai/Little Millet flour for this recipe. Millet is washed and soaked in water for 2 hours, then drained and dried on a clean cotton cloth for 30 minutes in shade. The semi dried grains are made into fine flour. This is known as processed flour. After the puja is over and the light is exhausted, it is distributed to all. It is believed that the positive rays from ghee reaches the abode of Divine Mother and she showers her kindness on the earth. Fresh chana and chana leaves (saag) are available in plenty during winter. Infact, winter is the season to indulge in lots of greens! 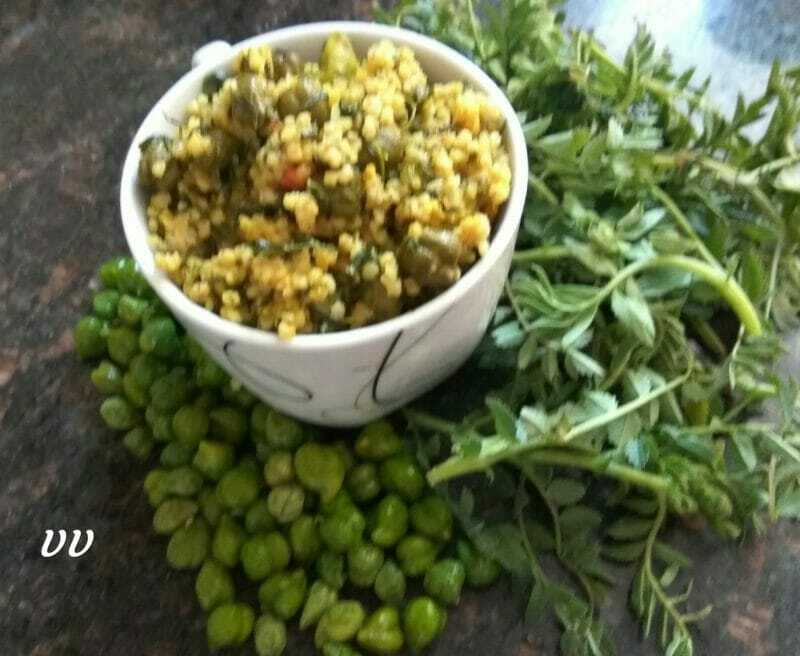 I used these two to make a pulav with Kodo `millet and it tasted brilliant! Hot pooris are all time favourite for most of the people. Potato bhaji, saagu or chana are generally served as side dishes. 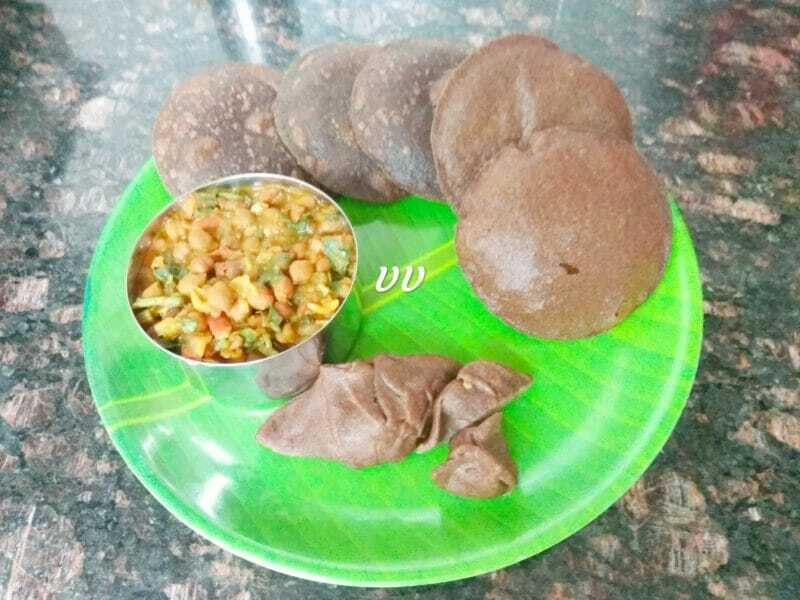 Ragi flour is very tasty, aromatic, rich in calcium and iron. I got excellent fluffy pooris which I served with chana masala! This is a very beautiful and delicious flat bread from Rajasthan. Rotis are made with coarsely ground wheat and usually the rotis are thick with beautiful patterns. 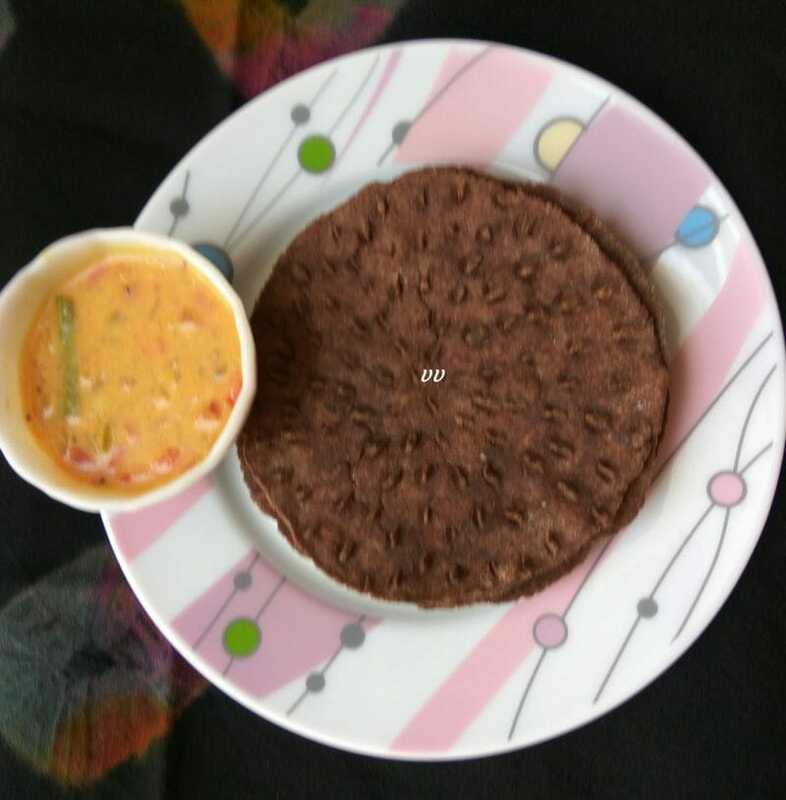 I used ragi flour for this recipe and got the same patterns as I do for wheat rotis. I loved making the patterns and my family enjoyed the delicious rotis!